The HHT hand-held terminal facilitates data collection from meters being tested on MeterTest’s ASTeL system. The data can be read from a meter and entered into the terminal’s memory using an integrated keyboard or a laser barcode reader. The docking port provides a connection to the computer as well as fast, convenient data transmission. Use a single terminal for servicing a number of meter test systems equipped with docking ports. 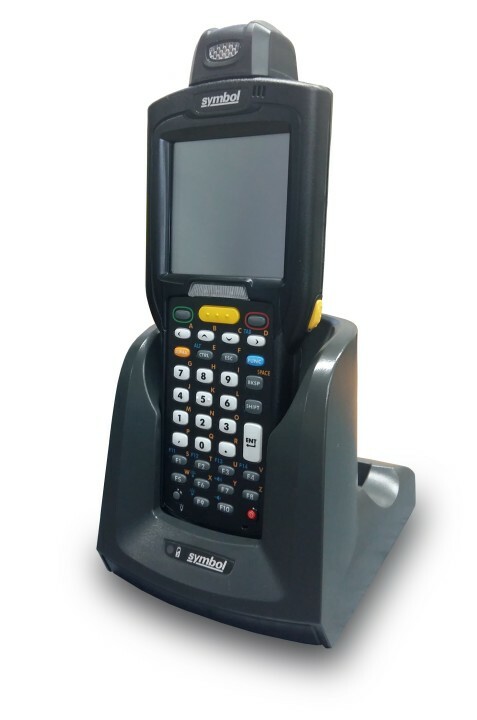 The HHT hand-held terminal is a portable computer, operating together with the Windows® CE operating system. A high resolution and touch sensitive backlit LCD display makes unit operation easy. Fast and convenient data entry is facilitated by a humidity-resistant keyboard with 28 or 38 keys, or an alphanumeric keyboard with 48 keys. The optional laser barcode reader significantly accelerates data collection operations, improving accuracy and efficiency. The rotating laser scanner head can be easily adjusted for left-handed and right-handed people.